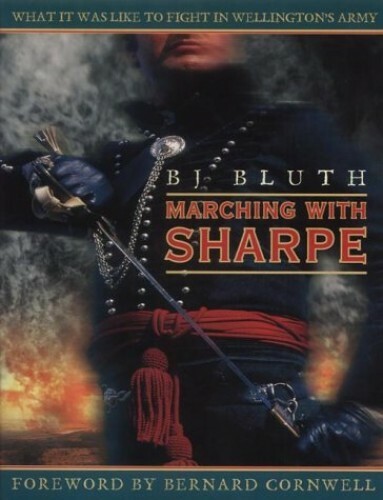 Using the same re-enactment groups that provided much of the man (and woman-) power for the TV series, "Marching With Sharpe" reveals what it was like to fight in Wellington's army during the Napoleonic Wars. It includes not just the military detail but all the nitty gritty of everyday life. Using the same re-enactment groups that provided much of the man (and woman-) power for the TV series, "Marching With Sharpe" reveals what it was like to fight in Wellington's Army during the Napoleonic Wars. How to fire a musket rifle, sword fighting, forming square, how to cook chickens in a cavalry breastplate...not just the military detail but all the nitty gritty of everyday life. What was it like to wear the uniforms of the period, what did you eat, what medical treatment was available and how to withstand the lash are also covered.